In a culture that lives on their phone, distracted driver accidents are on the rise, rivaling even the drunk driving accidents as far as injuries and deaths. While there are laws in place across the country to combat this, still careless drivers continue to let distractions get in their way of safe driving. 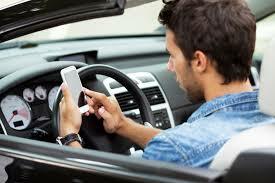 However, the distraction most prevalent and hazardous today is texting. Because it commands not just a driver’s visual attention, but his manual and cognitive attention as well, texting while driving is now illegal, and yet some still refuse to put the phone down. At Sciantarelli Law Firm, we believe if you are going to break the law, you deserve justice, and to pay for the injuries your recklessness has caused. If you believe that your accident was the result of a distracted driver, then contact us today. We begin working on your case immediately, uncovering the facts, preserving the evidence, and using these to determine liability and take any legal procedures necessary so you get the justice you deserve. Our dedication to fighting for you rights means that we go the extra mile to hire experts and investigators so that we can have everything we need to increase your chances of receiving fair compensation. Call today for your free consultation and get the qualified, experience and passionate personal injury attorney who is on your side.